With over 15 years of treating obesity, Dr Dolan and his team can help patients achieve success during and after bariatric surgery. Our team of bariatric physicians, dieticians, psychologists, exercise physiologists, nurses and a dedicated patient support group are on hand to do just that. Upon your first visit to Dr Dolan your medical history will be studied and the various weight loss surgery options will be discussed with you in order to determine the best way forward. Should you decide to go ahead with one of our bariatric surgeries, you will be supported by the entire team, not just for your procedure but for the rest of your weight loss journey. We are dedicated to helping our patients to achieve their goal weight in the safest and most efficient way possible. Our approach to weight loss is one that has been proven to work and we are constantly in the process of monitoring your results, always striving to improve our service to you. It is in this integrated team approach that is helping our patients experience some the very best results not only in Australia, but the world. Obesity affects millions of people worldwide and occurs when a patient’s body weight is in excess of the healthy range in relation to their height. This results in high levels of body fat. This long-term obesity can be caused by several factors that generally includes lack of exercise and poor diet. The effects of clinical obesity and weight gain on your physical and mental health can be quite severe and some of the symptoms include lower back pain, fatigue, heavy sweating, joint pain, shortness of breath and sleep apnoea. One of the commonly used methods for categorising a patient’s weight is The Body Mass Index or BMI. It is calculated by measuring your height and weight. If obesity is left untreated it can cause a range of serious health issues like arthritis, coronary heart disease, hypertension, menstrual irregularity, high blood pressure and stroke among others. We have a number of both surgical and non-surgical obesity treatments available for those who are seriously considering weight loss care. 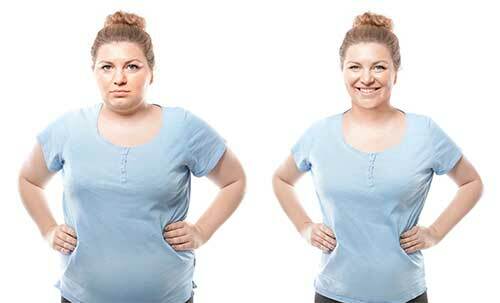 We offer prospective patients a comprehensive range of weight loss surgeries. Each surgery is used after careful consideration of the patient’s needs and which one would best serve them. Dr Dolan is able to expertly perform adjustable lap band surgery, SIPS surgery, gastric bypass surgery, mini gastric bypass surgery and gastric sleeve surgery along with the option for revision or failed weight loss surgery. Whichever treatment you and Dr Dolan decide to proceed with, you will always be educated and kept informed every step of the way and all of your concerns and queries will be addressed personally by Dr Dolan. Your comfort and safety during your weight-loss journey is of paramount importance to us and we will be there long after your surgery to ensure as best we can that your transformation is sustained. To make an appointment with Dr Dolan or to find out more about our weight-loss treatments, please click here.